This first week back we have been immersing ourselves in poetry. The students have really taken to it and seem to be enjoying themselves. We have also been completing a poem a day in our spiral and labeling several things. After they got a hang of that I gave groups of students a poem on an anchor chart. They had to find and label the different parts of a poem. They also had to come up with 2 questions. One could be a "right" there question and the other had to be a "thinking" question. They really surprised me with some of the thinking questions that they came up with. I put their anchor charts up in the hallway and theywere super proud as was I! Until then... Go Texans!! 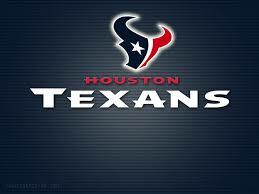 We had a go Texans day today and I'll be sharing those pictures on Sunday! If you have any other ideas for poetry, please send them my way! I really like what you are doing with the poetry! I also teach 5th grade. Will you be downloading the poetry info this weekend-the foldable info? I actually forgot my flash drive at school that has the file on it. I will upload it first thing Monday morning. Sorry for the inconvenience.